I am proud to be the Headteacher at Claydon High School and of the educational experience we offer to our students; we encourage them to "be the best they can be" and support them at every stage of their journey to achieve their maximum potential. We have high academic standards and provide high quality lessons and bespoke intervention so that every student can achieve the best set of GCSE qualifications of which they are capable and this is partnered with a caring and supportive environment in which they can thrive personally. As a small school we get to know our young people well and work with them over their time with us to provide every opportunity for them to be successful. We celebrate these successes in good GCSE results and more widely in their contributions to the life of the school and local community. Our vision for students at Claydon High School is that they all aspire to "be the best they can be" and are supported in achieving this so they are well prepared for their future. Students will study language, developing reading, writing and speaking skills as well as a wide range of literary texts from different eras and cultures. Students develop numeracy skills and mathematical problem solving through the curriculum, with the opportunity to study Further Maths and Statistics higher up the school. Students study Biology, Chemistry and Physics leading to three GCSEs or a double award for Combined Science; in addition students can study Health and Social Care at GCSE. 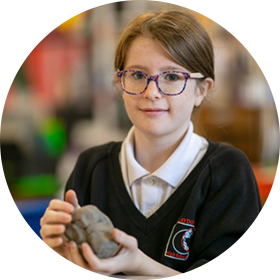 Students study History, Geography and RE through key stage 3 and at GCSE can select options in History, Geography and Business Studies; core RE is delivered alongside PSHE in key stage 4. All students will take Drama, Music and Art through key stage 3 with the chance to pursue these at GCSE. All students have core PE throughout the school with an option to study the GCSE too. Students will study French and Spanish from Year 7 with the opportunity to choose one language to specialise in later in key stage 3. Students in Years 7-9 will follow a carousel including: Computing, Food, Graphic Design and Resistant Materials. This allows students to choose from a range of subjects at GCSE. Students who need additional learning support will benefit from a range of bespoke support. All students follow a PSHE curriculum throughout school. Additional GCSE options and curriculum information.